NetEase has announced today that they are rolling out a new rewards program that will give mobile players more in-game gifts/exclusive items than ever before. Registering for this program will give players a free welcome gift pack and the opportunity to unlock up to $100 worth of valuable in-game items as point values are acquired. 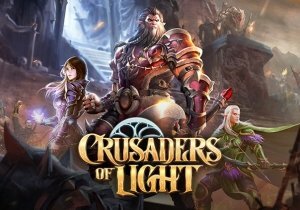 It’s now only available for Crusaders of Light but will expand to other NetEase titles in 2018. The link to it can be found below. As NetEase rolls out its new Rewards program, players will gain invitations to in-game events, the opportunity to play new NetEase games in advance and much more. The more program participants, the more points that will be accrued – unlocking even more gifts for players. Players will be able to select which titles to opt-into and can register for multiple titles at a time. For new titles, NetEase Rewards will support pre-registration campaigns. In addition, there’s a campaign called “Light Up the Holidays” from now until January 3rd. It will give daily login rewards, and for one-day-only, a special bundle and discounts off everything in the item mall. Arenanet has announced that Guild Wars 2’s Super Adventure Box, a fan-favorite April Fool’s event has returned!